ERCcOMICS, coordinated by Sorbonne Université in partnership with La Bande Destinée, a French communication agency, is the result of an ERC call for proposals aiming to find “innovative ways to highlight ERC projects”. 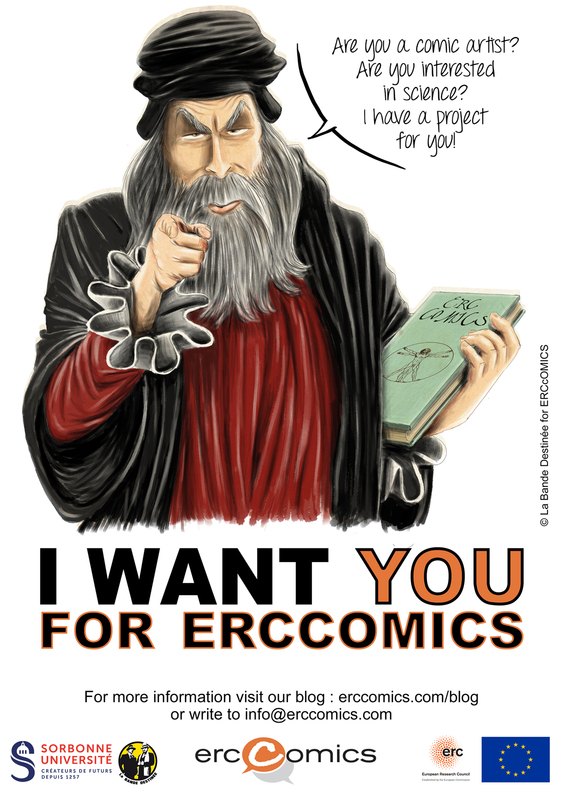 The goal of ERCcOMICS is to create webcomics about the subjects and results of several scientific projects funded by the European Research Council (ERC). Each webcomic will be the result of a close cooperation between the researcher, the ERCcOMICS team and a comic artist. Depending on the subject, the webcomic could be a fictional or documentary story of any genre: science fiction, historical, thriller, autobiographical. Each webcomic, before publication, will always have the grantee’s final validation. More details and remuneration will be communicated by email.